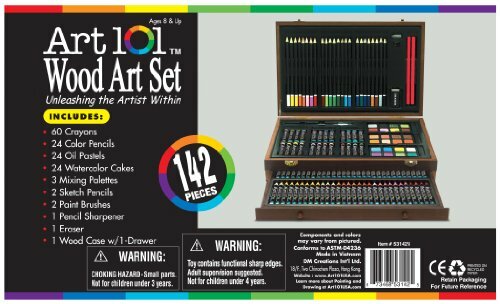 Art 101’s 142 Piece Art and Creativity Wood Art Set helps kids learn and grow with the self-expression of art! 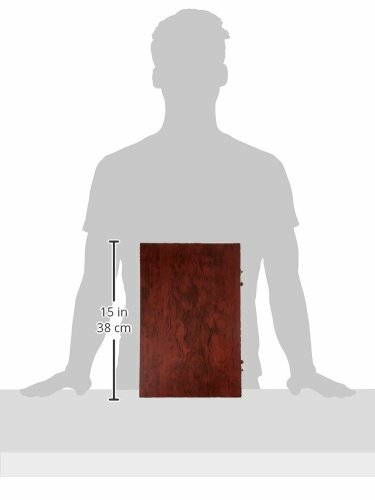 Tired of looking at a plain fridge? Art 101 to the rescue! 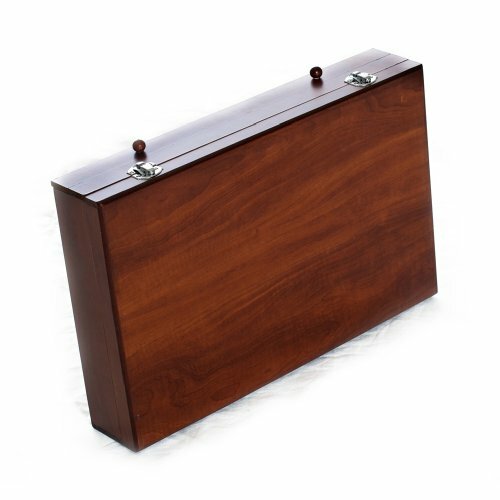 This all-in-one wood-case art set includes everything your youngster needs to inspire artistic greatness. 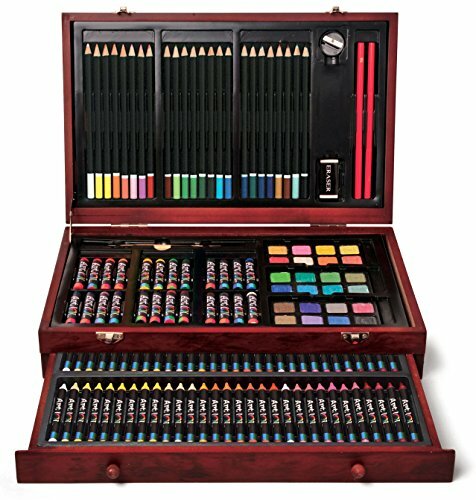 Future van Gogh’s will find crayons, colored pencils, vibrantly colored oil pastels, watercolor cakes, brushes and more… all neatly organized in a hinged wooden case with a pull-out drawer. In short, if they can dream it, this set will help them create their masterpieces and sharpen their artistic talents! Included in your set are 60 crayons, 24 oil pastels, 24 premium core colored pencils, 24 watercolor cakes, 3 mixing Palettes, 2 sketch pencils, 2 paint brushes, 1 pencil sharpener, 1 eraser, 1 color chart, and 1 hinged wood case with drawer. 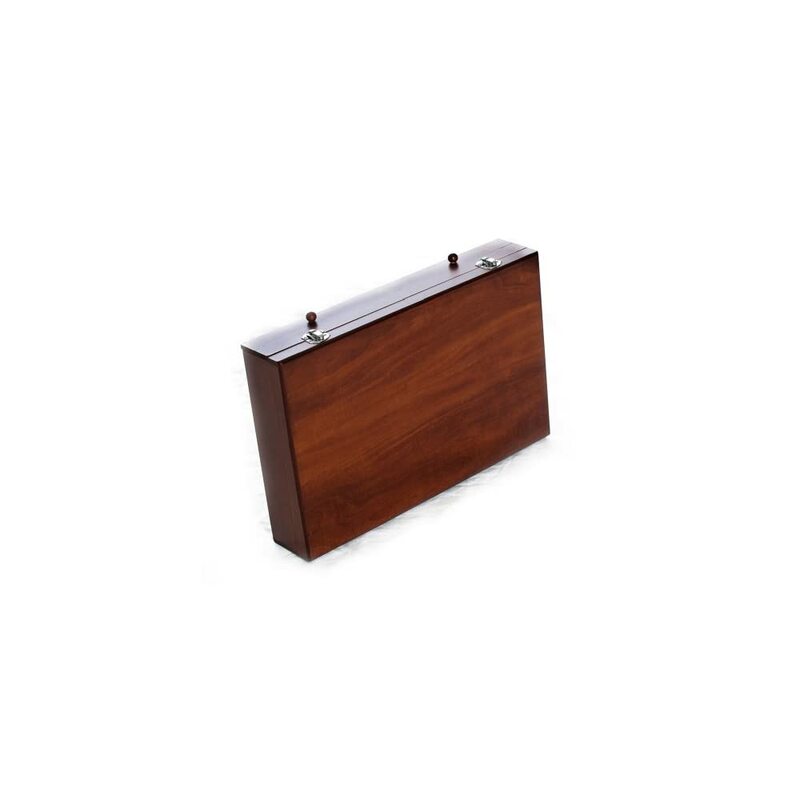 Case measures 14 7/8 x 10 x 3″ H., 5 lbs., 15 ozs. For ages 8 and up. CHOKING HAZARD. Item contains small parts. Not for children under 3 yrs. This is something I can get for my daughter she is really into this stuff!!! I bought this for my oldest son for his birthday. He loves to draw and sketch. This was a perfect gift. This is a fantastic art box. Great price!